An extraordinary drama is unfolding in Southern California involving a former Los Angeles police officer identified as Christopher Dorner. The photo of Dorner (left) was supplied by the Irvine Police Department, which identified Dorner as the suspect in the Sunday shooting deaths of Keith Lawrence and Monica Quan, a college-basketball coach. The fear is that Dorner literally is hunting down specific members of law enforcement or members of their families to shoot and kill. He has a military background and allegedly authored a manifesto in which he threatened “unconventional and asymmetrical warfare” against police. Monica Quan’s father is former LAPD Capt. Randy Quan, the LA Times is reporting.
. . . the search intensified after three police officers were shot in Riverside County Thursday and Dorner was identified as a possible suspect. The first police shooting occurred about 1:30 a.m. Thursday in Corona, where two LAPD officers were providing protection for someone mentioned in Dorner’s manifesto, officials said. 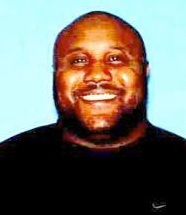 One officer suffered a graze wound to the head during a shootout and Dorner fled the scene, police said. A short time later, two Riverside officers were shot at the corner of Magnolia Avenue and Arlington Avenue in Riverside. Riverside police Lt. Guy Toussaint said the officers were sitting at a red light when they were ambushed. One was killed, the other was still in surgery Thursday morning. This wantonly destructive saga appears to have ended in Dorner’s death, bringing the death toll to five, including a police officer, a sheriff’s deputy, the daughter of a longtime police officer and her fiance. Some civilian innocents also were shot by police.